Attendance and punctuality are essential to ensuring that your child gets the most out of their time at school. They are also important life skills that your child will need as they become young adults and enter the world of work. Please ensure that your child arrives in time for the start of school at 8.55. Children can be dropped off in the playground from 8.45am onwards and are admitted to class at 8.55am. Late arrivals are disruptive for the child who is late and also for the other pupils who will have begun lessons. No children should be on the school grounds before 8.45am. Prompt pick ups after school are also really important. Children can become distressed when waiting for parents and as staff are teaching afternoon classes and taking extra curricular clubs in the afternoon they are not available to supervise children who have not been collected on time. Please phone us if you are going to be late! 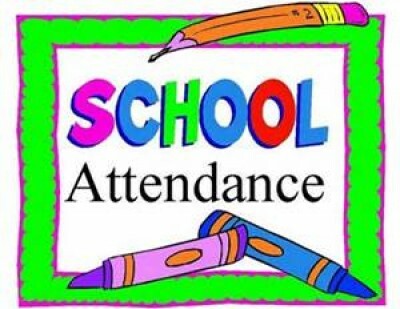 Pupil attendance is regularly monitored by the Principal and poor attendance reported to the Educational Welfare Officer attached to Oakwood IPS. If your child is ill, please contact the school preferably through a note to his/her class teacher. The following year's Holiday List is distributed to parents early in the third term of each academic year, providing ample time for holidays to be planned for in the school holiday period. Please try to take holidays during school holiday periods as term-time absences obviously impact upon attendance and more importantly upon children's learning. If you decide to take your child out of school on a holiday, it is not our policy to provide school work to cover the period of absence.